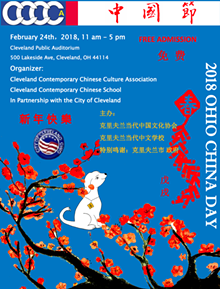 Come and join us to celebrate Ohio China Day, organized by Chinese Communities in Cleveland, Columbus, Cincinnati, Ann Arbor, Detroit, Pittsburgh and Buffalo. 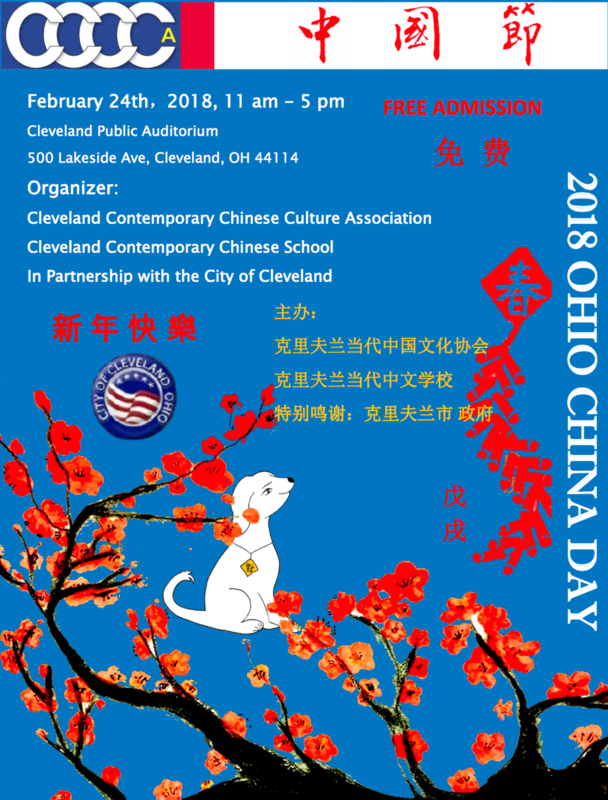 Enjoy Spectacular Chinese New Year Performance in Northenst Ohio. Lion Dance, Martial Arts, Folk Art Performance, Authentic Chinese Foods, Children’s Activities, Chinese Drawing, Calligraphy and Much More.